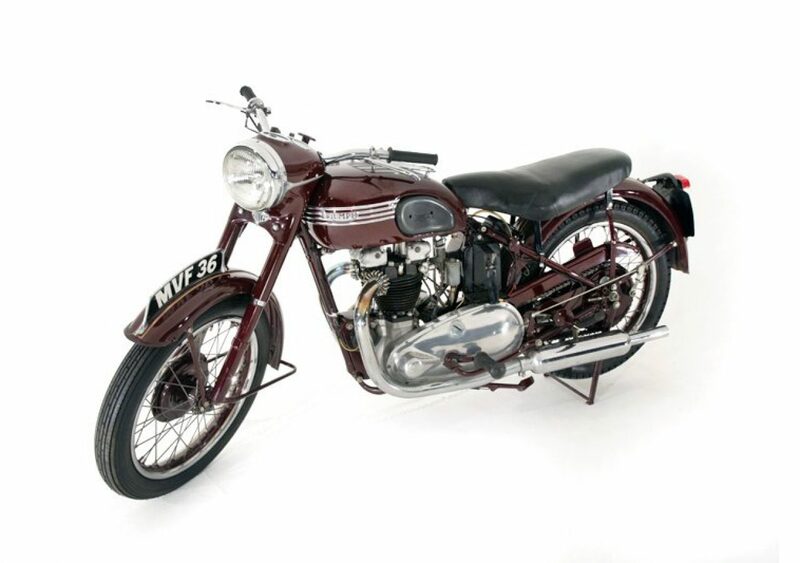 The Speed Twin 5T is a motorcycle that was made by Triumph at their Coventry, and later Meriden factories. Edward Turner, Triumph's Chief Designer and Managing Director, launched the Triumph Speed Twin at the 1937 National Motorcycle Show. 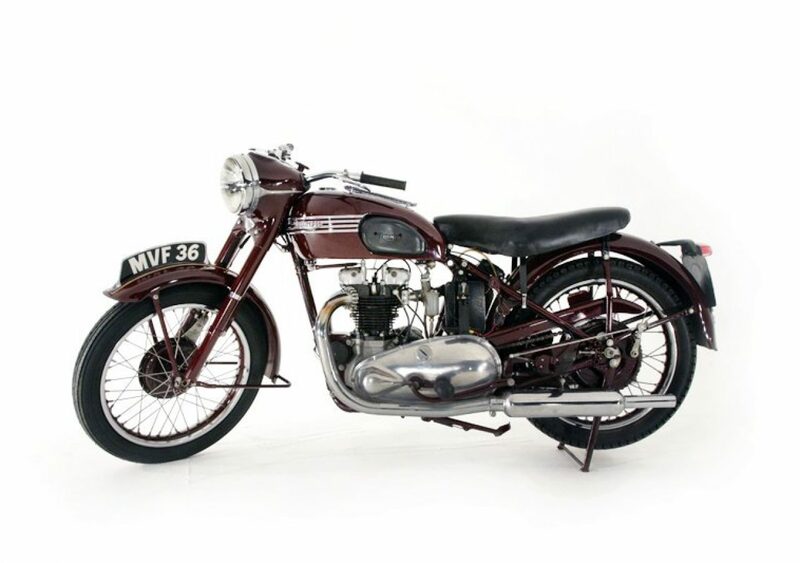 It was a 500 cc OHV vertical twin in a lightweight frame and the first truly successful British parallel twin, setting the standard for many twins to follow. 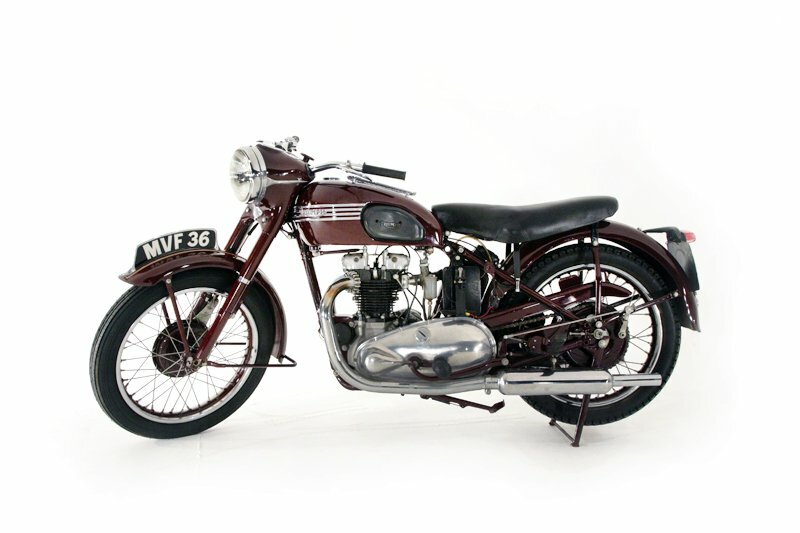 After World War II the Speed Twin was responsible for the survival of Triumph - and every major British marque offered a 500 cc twin designed on similar lines to the Speed Twin. All Triumph twins had acquired swinging arm rear suspension by 1955, acknowledging that the system already adopted by other leading motorcycle manufacturers was superior to Meriden's sprung hub. The new frame enhanced comfort while roadholding was generally better, although early fifties Triumphs had a reputation for developing a wriggle when cornering at speed. Triumph's traditional tank-top grid allowed small items of luggage to be carried securely. Maroon livery, catalogued as Amaranth Red, has been a hallmark of the Speed Twin since its dramatic appearance for 1938 and the tidy headlamp and instrument nacelle were a familiar Meriden fature from 1950. Four bar aluminium fuel tank trims carrying the Triumph logo were not only elegant but cut production costs. Tanks for earlier Speed Twins were chrome plated by an outside contractor, a costly process prone to quality control problem.